← How do you measure a lover? Today I and the other writers at Posting and Toasting previewed the upcoming Knick season. “I and the other writers” sounds wrong, right? This week at work I’ve been up to my ears in nominative versus objective pronoun cases, and if the boys in the lab in my head are still firing on all cylinders, “I” is correct. Eight different views on the team’s strengths, weaknesses, and goals, plus a fun bonus question that also deals with the number 8! Check it out and thank your numerologist afterward. 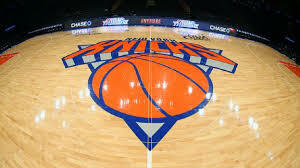 This entry was tagged eight, New York Knicks, posting & toasting. Bookmark the permalink.